few simple steps, it is possible to maximize the lifespans of your discs. around the disc or wipe diagonally. discs to this routine will still cause damage over time. accessories are produced by companies like Scotch and 3M and cost around $20-$30. rather than risking the loss of data integrity which can occur while resurfacing. better option every day for handling the archival of data important enough to keep of-site. What Causes Discs to Fail? Storing your files on a disc of any type is a relatively safe method of archival, but there are a few things you should be aware of in order to safeguard your files. The first is to of course use quality media, but beyond that, you can avoid damage by following a number of simple tips: Never expose your discs to extreme temperatures. Both heat and cold have an adverse effect on the longevity of discs. Cool, constant temperatures are best, so try and avoid sunlight, heaters, air conditioning vents, and the like. Remember that simply being inside of a container may not be protection. Glove boxes, trunks, and the like, while popular storage places in vehicles, are poor choices. In addition to the issue of heat, UV light may damage discs. This means that sun is a double no-no when it comes to ensuring you do not damage your collection. Do not leave your discs out in the open, or stacked on each other. 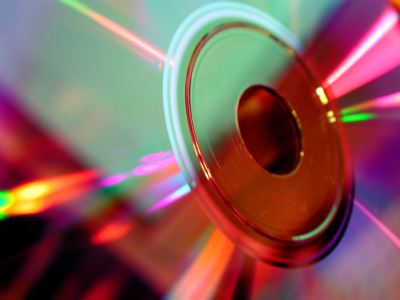 While discs often come in spindles, this type of storage (particularly when done with loose discs) can lead to scratching of the protective layers of the media if dust and other particles are introduced. Instead, choose a storage solution which keeps your discs as free of such environmental hazards as possible. Handle the discs from the outside edge and the inner ring. While fingerprints are not really a permanent problem (though they can cause massive temporary issues if left uncleaned), any kind of debris which may insinuate itself between fingers grasping either of the flat surfaces of the media can cause damage. Exposure to various hazardous materials can severely degrade discs in a very short period of time, so it is imperative that you avoid exposing your media to any chemicals. This can include some aerosols which might be commonly used in your household. Avoid moisture. Many people use water to clean their discs, but that is not recommended. Only use purpose-built cleaning solutions. When using a marker, only use one that is appropriate to disc usage. Generally water-based inks and broad felt tips are better than other types. For the most safety, only mark the clear plastic interior of a disc. Don’t put undue pressure on your media, such as by bending it or subjecting it to extreme rotational speeds. Avoid adhesive labels. They can peel and cause issues with drive operation, leading to damage. 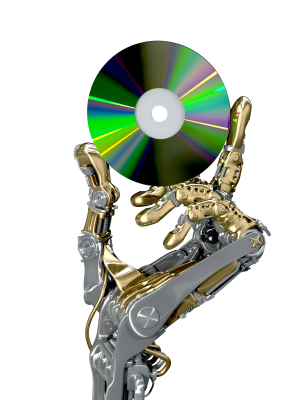 By doing your best to avoid the above problems, you can help to preserve your discs. With good care you should be able to keep them viable for decades. Posted in How To...! | Comments Off on What Causes Discs to Fail? 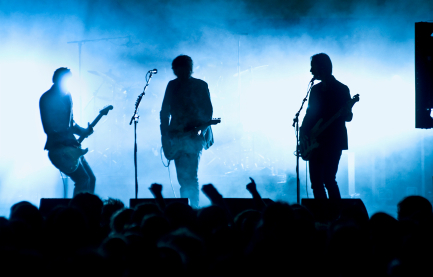 How to get your music published – a guide for unsigned bands and DIY musicians! Unsigned bands can have a tough time getting there music published - so here's some helpful hints! In today’s harsh music industry, it can be really difficult to get your voice heard among the rest and get your music published. But there are ways to do it without having been signed or having an agent. In this article, I hope to explore the various ways this is possible and help you to get your sound on the market and being played! Firstly, of course, there are the basics of the internet. Having a website can greatly increase your fanbase as friends share the link with each other and word of your music spreads through cyber-space. If you are a bit of a whizz, you can create your own website, or hire someone to do it for you if you have the spare cash. If you lack both money and know-how, you could always use a website-creator, like blog website WordPress, which can put in the basics of the site for you and allow you enter in the information you want and upload photos and music. Aside from having your own website, also abuse the growing rash of social networking sites. Myspace music pages are an invaluable way of getting your music out there. You could also start up a Facebook Fan Page or even a Twitter account to gather your followers! And don’t forget to post music videos on YouTube as this is a great way to get lots of new fans and links! But how about how to get your music onto the market? Well, believe it or not there are lots of relatively easy ways to do this! Firstly, Amazon is a fantastic site for selling your own wares. Simply go to their website, find the ‘Sell your stuff’ link and, for a comparatively small fee for what you will make selling your CDs on here, you can sell as many CDs as you want! I would advise, however, if you are selling on an official website like Amazon it will probably be worth your while to get a UPC barcode for your product as then you can sell worldwide and also will be able to branch out into more mainstream retail very easily. Other websites, such as the America-based CD Baby are online distributors of music, sending out products to companies such as iTunes, Amazon and Rhapsody. They do keep a small percentage of whatever you make, but it is a small price to pay for all the services they offer, including business cards, free web hosting, disc duplication and weekly pay to you! Though they are an American website, because they work with online sales and companies which make shipments world-wide, it is still alright for a UK based band to use them. However, if you want to keep things in the UK, you could use a UK based independent music distribution company such as TuneCore. Again, for both of these, you will need a UPC barcode. But remember that in today’s digital world, people are starting to listen to music online, too. Websites such as LastFM are becoming increasingly popular and they make it really easy for you to upload your own music! Spotify, too, the famous downloadable program, encourages artists to work with them and upload their music for download. Although these organisations do not provide much profit at all, they are invaluable methods of getting your music heard by thousands upon thousands of listeners. This, in itself, will help to increase your sales. Last but not least, remember to keep playing, keep writing and keep on recording because the more you put yourself out there, the more listeners and fans will come back to you! Good luck getting your music selling and I hope this article has helped! Posted in How To...!, Selling Your Music | Comments Off on How to get your music published – a guide for unsigned bands and DIY musicians! To begin with, let us examine the basic screen. At the top, from left to right, are the options for a ‘New Design’, to ‘Load Design’, ‘Save Design’ or ‘Upload Image’ from your computer. Below is the ‘Clip Art Gallery’ at the top of which is a drop-down list allowing you to select which category of clip art you which to have displayed. Beside this is the ‘Text Tool’ and to the right of this is the colour chart which can be used to select the background colour. At the bottom of the screen is the ‘Workspace’ in which you create your image. It is here that the first step in design occurs: Here you pick which aspect of the CD you are designing. You are given the choice to design a 4-page booklet for the insert, the CD/DVD body, a plain card for the insert, the inlay for a Jewel case, a DVD book or DVD wrap. Each option gives you a different space to design in, specifically measured to the design requirements of a CD: The CD body is the actual size of a CD body, the 4-page booklet, the correct dimensions for a 4-page booklet insert. These options are selected by pressing the option tabs at the top of the ‘Workspace’. Within the workspace, different coloured lines mean different things: A red line indicates the edge of your product, though to allow for cutting errors, your image should go at least to the edge of the page. The light green lines indicate the space in which it safe to put important information. Between the red and green lines will be on your CD, but, again, due to cutting errors, it is not a wise plan to put important information so close to an edge which could potentially be cut off. Dark green lines indicate where the pages will fold. It is also important to know that at the top of the ‘Workspace’, beneath the aspect option tabs, are two tabs. One says ‘Workspace’, the other, ‘Preview’. By selecting the preview tab, a new window opens with a full preview of your work. To get back to the main screen from the preview, simply close the new open window. Once you have selected the part of the CD which you wish to design, it is time to select your background colour. Go to the right hand side of the page and find the background colour selector. You can either select one of the colours displayed or click the ‘More Colours’ button to open a new internal window which will allow you to select a colour from a chart. To get rid of it again, simply re-click the ‘More Colours’ button which will now say ‘Hide’. If you have a colour you know that you want already, simply click the ‘Enter Own Colour’ button and insert the hex code before clicking ‘Accept’. After you have decided on your background colour, it is time to put an image onto your work. To do this you can either use one of the existing images by single-clicking on it in the ‘Artwork Gallery’ (middle, left-hand side of the screen) or upload your own. To do this, click the ‘Upload Image’ button at the very top of the screen. Then, select from your files and folders the image you wish to insert, before clicking ‘Select’. The image will then be uploaded into the workspace. Once you have an image in the workspace, you can drag it around until it is in the correct position. You can also alter its size by bringing the mouse to the edge of the image until it turns into an arrow. Click and drag until the image is the size you want it. You can make it smaller or larger by doing this! By inserting an image, you have made a new ‘Layer’. Each image has its own layer. To view the layers, look to the bar at the bottom right side of the screen, alongside the workspace. Drag and drop the layers higher or lower in the list to bring them forward or back. Aside from this, you can edit the brightness and opacity levels from here by selecting the layer then dragging the slider up or down on the corresponding scale in the layers toolbar. Rotation can be adjusted here, too, allowing you to twist and spin your image as much as you want. The final thing in the design process is to insert the words you want. You could just have a title or you may want to print some lyrics inside your booklet. Whichever way, turn now to the ‘Text Tool’ which is situated near the top of the screen in between the ‘Clip Art Gallery’ and the ‘Background Colour’ selector. First, roll your mouse over the ‘Font’ button (Top left hand corner of the ‘Text Tool’) to decide which font you like. As your cursor scrolls over the font, a preview of it is temporarily shown in the Artwork Creator. Once you see a font you like, simply click on it to select it. Next, choose the size by selecting it from the drop-down list beside the ‘Font’ button. To select the justification, simply click either the right-hand orientation or the centralise buttons (top left corner of the group of icon-buttons in the top right corner of the ‘Text Tool’). Similarly, the button with the double-ended arrow going from side to side orients the text horizontally, as normal. The button with double-ended arrow going from top to bottom orients it vertically and the arrow going in a circle makes the text go in a circle. ‘Bold’, ‘Italics’ and ‘Underline buttons are directly beneath the orientation buttons and the final button in that group, which is a ‘T’ with a coloured block beside it, allows you to select the colour of the text you want. To add the text, simply click ‘Add Text’ and then drag the text to where you want it once it has appeared in the workspace. If you wish to edit the text once it has been inserted, simply double click it then edit the options in the ‘Text Tool’ space. Lastly, to save your design, simply click the ‘Save Design’ button at the top of the screen. Click ‘Ok’ is a screen pops up, and the image you have created should save on your desktop in and ‘Artwork Creator’ folder. To load a previous design, click the ‘Load Design’ button (left of ‘Save Design’ button) then select the folder in which you previously stored the design you made. Then select the only version of the design which is not greyed out (file type ‘.prj’). And if it all goes horribly wrong, just click the ‘New Design’ button in the top left corner of the screen which will give you a fresh canvas! I hope this guide helps you to fill your design needs easily and effectively! Attractive CD artwork means a disc which sells well! Getting the right look for your CD can be a real challenge. You want your product to look good and yet still appeal to the right consumer-group. There are several different roads you can take to get your artwork designed, and by covering them in this articles, I hope to help you make up your mind which one is most suited to your needs. Perhaps the highest quality design will come from hiring a professional designer to do the job for you. It’s their livelihood so they’re sure to know what they are doing and will probably have much better software at their disposal to do it with than you will. The design they come out with will be exactly what you ask for and they can work to a certain time-scale. However, hiring a professional is perhaps not the most cost-effective way to get your CD artwork designed as they do charge for the hours they work on your design. However, if you do want one it can save you a lot of your own time and they are not difficult to find: Simply search in the ‘Yellow Pages’ or on an internet search engine. The next option is to use an online or downloadable artwork creator. My favourite is the Artwork Creator designed by Duplication Centre. It’s very easy to use but still offers you many options for editing your image, without having to spend a lot of time learning how to use new software. Of course, if you have a program such as ‘Photoshop’ you could always use that. Though it can be very time consuming to design your CD artwork yourself, if you do decide to take this route, you then have the question of where to get the images you use in your artwork from. You can take the photos yourself but be warned that unless photography is a hobby of yours, it can be difficult to get high-quality results. So you could get them professionally taken, but remember that this costs a lot of money. If you want a cost effective, fast way to acquire photos without having to take them yourself, you can always set up an iStockphoto account. iStockphoto is a website designed to let you browse through literally thousands of photographs and buy them to use on your products royalty free. I hope that these ideas help you to decide how best to design your CD artwork to the high quality you would expect and in the time frame you need! You are currently browsing the archives for the How To…! category. Duplication Centre Resource Centre is proudly powered by WordPress | Entries (RSS) | Comments (RSS) | 30 queries. 0.039 seconds.